Description...In early 2000, the websites of CNN, Yahoo, E*Trade, Dell, Amazon, and eBay ground to a halt for several hours, causing panic everywhere from the White House to suburbia and around the world. After 2 months and hundreds of hours of wiretapping, the FBI and RCMP staged a late-night raid to apprehend the most wanted man in cyberspace--a 15-year-old kid, Mafiaboy. 8 years later, Mafiaboy, a.k.a.Michael Calce, has ignored requests from every major media outlet in North America and has not told a word of his story--until now. Using his experience as a cautionary tale, Calce takes the reader through the history of hacking and how it has helped make the internet the new frontier for crime in the 21st century. 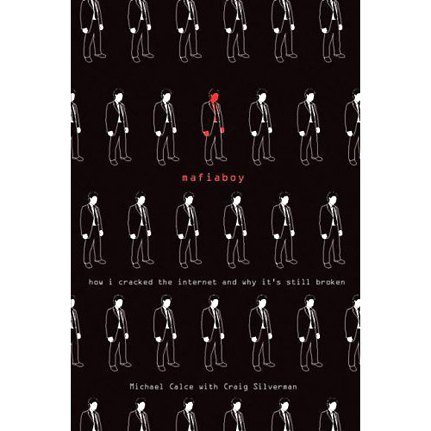 MafiaBoy was the Internet alias of Michael Calce, a high school student from the upscale area of the West Island in Montreal, Canada who launched a series of highly publicized script kiddie denial-of-service attacks in February 2000 against large commercial websites including Yahoo!, Amazon.com, Dell, Inc., E*TRADE, eBay, and CNN.